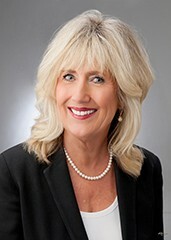 Ascension Financial Group, Inc. is a financial planning firm of which Carlene Patterson is Founder and Managing Member. It is a comprehensive practice, offering extensive money management options and a deeper level of service. Ascension Financial Group is comprised of a dynamic and cross generational team of individuals. With it comes Carlene’s experience and history in a variety of markets, along with youth, energy and a new perspective in financial trends, analysis and technology. We work closely with our clients and empower them to fully understand their financial options. We provide experienced counsel to professionals, small business owners and not for profit organizations. We help you find peace of mind you desire through an objectives-driven process. We are the catalyst in the planning process. We work closely with your other advisors. Carlene grew up in Southern New Mexico, the oldest of eight children and a working farm girl. Her entrepreneurial spirit has launched her into owning businesses since 1987. She founded her first business which was an office furniture dealership. In this business she employed 25 individuals and experienced all the many aspects of starting and managing a business. Her interest in finances led her into a financial planning career and business. Her firm has specialized in succession and estate planning as well as portfolio management for business owners, professionals and not for profit organizations for over 20 years. Carlene is active in her community, having served on foundation boards. She is married to Gary Allen, has two married children and they are the proud grandparents (Nana and Boompy) to four grandsons and one granddaughter. She is a CERTIFIED FINANCIAL PLANNERTM professional and CEO of Ascension Financial Group, Inc.. Carlene utilizes the six-step financial planning process. Her experienced advice results in clear goals and personalized strategies. CFP® professionals bring more knowledge, a code of ethics and professionalism to their clients. In order to obtain the CFP® certification, financial advisors have to have three years of previous experience, complete a college-level program of study in personal financial planning and pass a comprehensive examination. The ChFC® designation has been a mark of excellence for financial planners for almost thirty years. It currently requires more courses than any other financial planning credential as well as adherence to a Code of Ethics. The curriculum prvides extensive education and practical training in all aspects of financial planning, income taxation, investments, and estate and retirement planning. Vanessa is the Client Services Manager. Vanessa's journey has taken her from Rochester, New York to Fort Lauderdale, Florida then Denver, Colorado and she arrived in “The Land of Enchantment” in 2007. Vanessa brings 25 years of experience and invaluable support in customer service. She manages the scheduling, underwriting and service processes. Vanessa has been married for 24 years. She and her husband have two adult children and are grandparents to two grandsons. Sandi was born in California but considers herself a native New Mexican because she has lived in New Mexico most of her life. 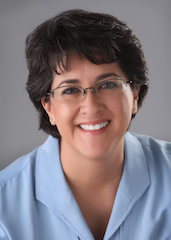 Sandi worked in her family business for 10 years and developed her skills by selling office equipment and supplies to business owners and the State of New Mexico. She was involved in all aspects of the business and earned a reputation for providing a very high level of service, taking care of her customers. Sandi has been married to her husband Tim for 20 years. They have a son Aiden who is currently in mid school and keeps them very busy. 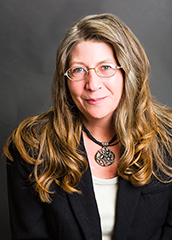 Sandi has over 13 years of experience in financial services, insurance sales and specializing in Retirement Planning. She works closely with her clients to ensure a solid Financial Plan. She does this by making sure she understands the client’s needs and helps them to understand the overall Financial Plan to maximize their financial future.